Tonky Frans has been one of the major freestyle influencers for the last 18 years. The sunny boy from Bonaire has been competing in freestyle since 2001. 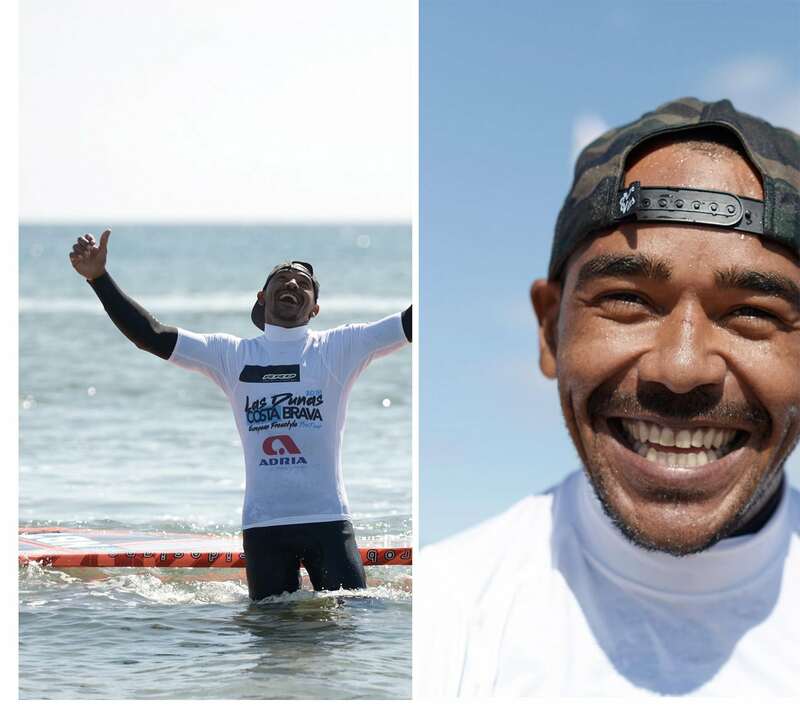 He competed with Matt Pritchard, Ricardo Campello, Nik Baker, Kevin Pritchard but also with Gollito Estredo, Amado Vrieswijk or Yentel Caers. In 2002 he won the PWA King of the Caribbean and in 2018, 16 years later he received the sportsman of the year award in Bonaire. Impressive numbers. After 7 years living in Lanzarote, where he has met his wife Sara, Tonky returned to Bonaire. Together with their daughter Chloe they decided to move to Tonky’s home. 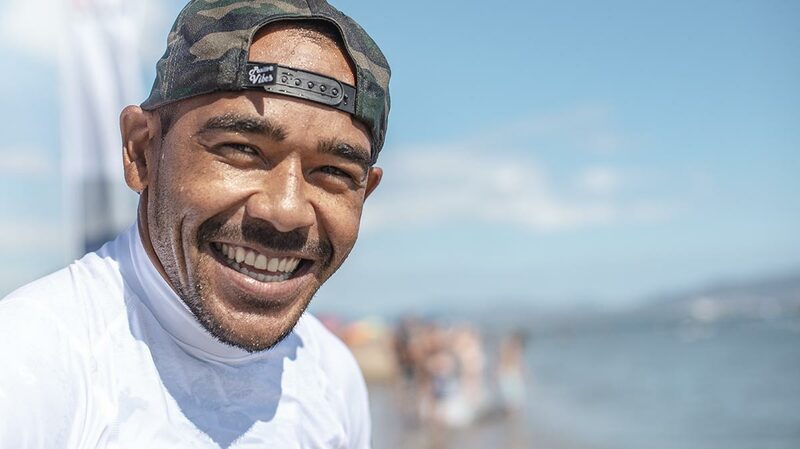 We thought it’s time to catch up with Tonky, who is 35 years of age and one of the oldest in the professional freestyle scene. We asked him about his return to the Caribbean and how he will continue in his career. Just a few weeks ago Taty and Tonky opened their own center, the Frans Paradise. Who doesn’t want to have one of these two experts as an instructor? Continentseven: Hi Tonky, how does it feel to be back in Bonaire? Tonky: Yes, well, it is good to be back in Bonaire of course. Back to the roots. Back to where it all started. It’s a good feeling to be back home. Taty with family and friends were on the airport, so it was a warm welcome. Continentseven: Why did you leave Lanzarote? 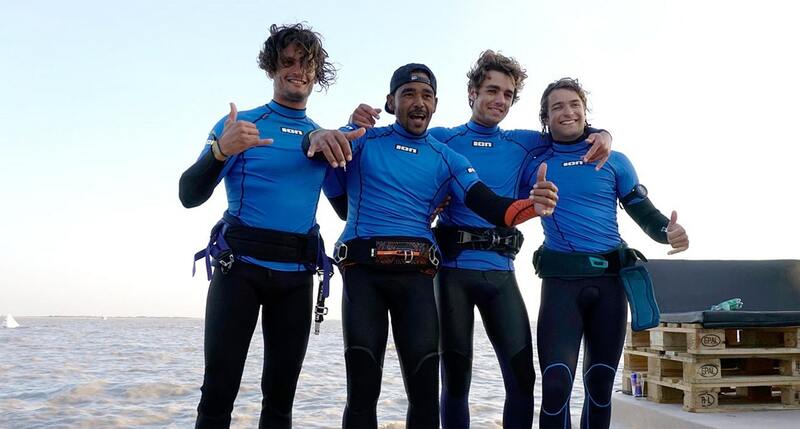 Tonky: Well, I moved back because me and Taty started a windsurfing school and we were waiting for the license before I left from Lanzarote. Continentseven: This is great. Was it always your dream to run a water sports center together with your brother Taty in Bonaire? Tonky: Yes, because since the beginning of my career, when I started working in a water sports center I always thought how cool would it be to have an own business one day. I can’t imagine someone better to have as a partner as my brother Taty. I’m really proud of him for everything what he did to become this a reality. Continentseven: Will your wife and your kid follow you to Bonaire? Tonky: Yes, my family already arrived here a few days ago to live in Bonaire. Continentseven: Did you miss Bonaire? Tonky: After many years sailing far away of where I trained of course I missed it from time to time, sailing with my friends at my home spot. Continentseven: How many years did you live in Lanzarote? Tonky: I lived 7,5 years in Lanzarote and it was great. I also met my future wife Sara in Lanzarote and we have a beautiful daughter from this relationship. Continentseven: Did you enjoy your time on the Canary Islands? Tonky: Yes, I liked it a lot. The lifestyle and the easy traveling to other events was great. It is a very good place for the tourism, in either way not just windsurfing or any water sports, but also good for all kind of sports. Lanzarote is a very good windsurfing spot, especially where I trained or where I sailed. It is also the same place where they did the PWA and EFPT events. The reason why I like and recommend it as a good spot is because of the excellent bump and jump conditions. Las Cucharas is very good to try and train all kind of freestyle moves from flat to air moves. The spot is not the best freestyle spot, but for advanced freestylers it is a really good spot because you can combine the jumping moves with freestyle moves. On the way out you can jump and on the way in you can do freestyle tricks. I would recommend Lanzarote with a 8 if I need to choose a number from 0 till 10. And don’t forget: you can travel in-between the Canary Islands searching for better spots and wind. That’s what I like the most and not to forget about the good tapas. Continentseven: What’s your favorite freestyle windsurfing spot in general and which spot would you like to visit one day? Tonky: It’s Lanzarote because of the great bump and jump conditions and I would like to visit Brazil one day. Continentseven: 2018 was a great seasons for you. You won the EFPT overall title for the first time in your career. Big congrats! Will you add another season in 2019? Tonky: Yes, I won the EFPT overall title in 2018. Maybe I will not target that as a plan to compete at all EFPT events this year. In 2019 I will try to participate in some events and see, but I can’t guarantee that yet. Continentseven: What does it mean to win the EFPT in 2018? Tonky: It’s always good to reach a goal. It was the first time after so many years competing on the complete EFPT in 2018 and to finish in first place was the perfect end to hang the harness up for a bit. Continentseven: How important is competition for you after so many years on tour? Tonky: It’s important, because I reached my target winning an European title in 2018. And after 17 years in the World Cup – I’ve been in the top ten in the overall ranking almost every season since I started in 2002, with a few exceptions only – I think I put my mark on the freestyle whatever the results got. 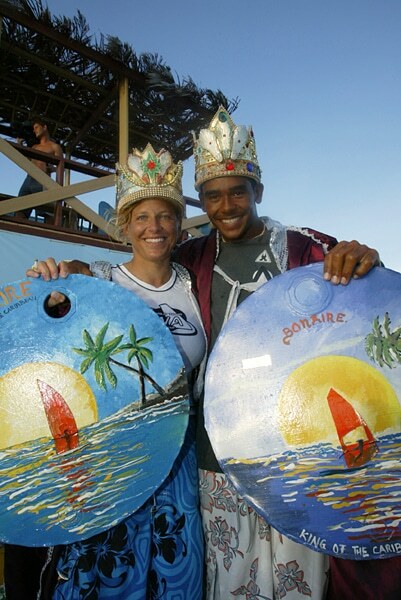 The queen Karin Jaggi and the young king Tonky Frans in Bonaire in 2002 (Photo: pwaworldtour 2002). 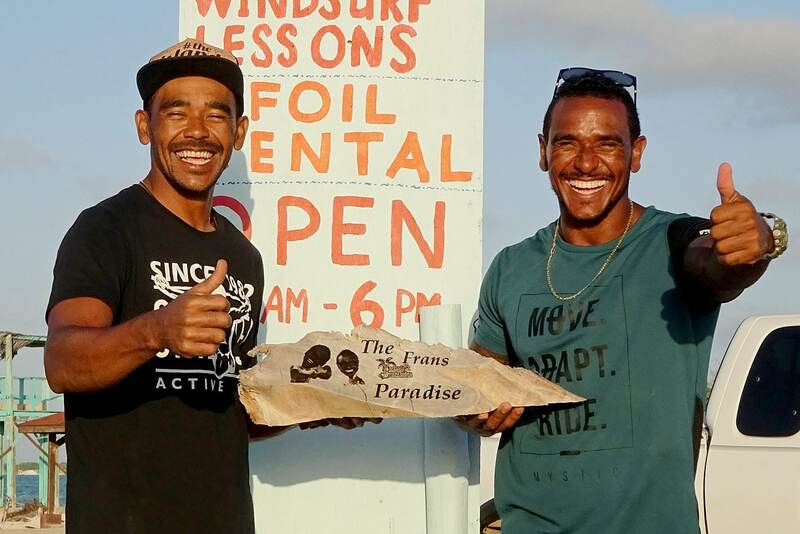 Continentseven: It looks like there will be a PWA freestyle event in Bonaire this year. Are you looking forward to compete at your home spot? Tonky: Well, it’s at my home spot, so yes, I will try to compete as I have already a small advantage at home. Continentseven: Will you stay with RRD in 2019? Your testing connection with John Skye, who lives on Gran Canaria, isn’t that close anymore. Continentseven: Thanks for the interview and good luck for 2019! Tonky in first place at the EFPT event in Austria in 2018. A dream came true!